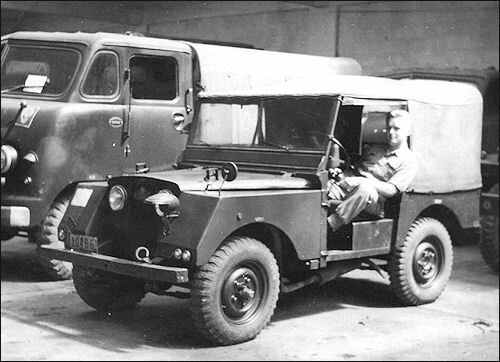 Aware of the Belgium army's search for a new lightweight four wheel drive vehicle, the head of Minerva, approached the Rover company in the spring of 1951. On the June 21st Rover learned that a total of 2500 vehicles would be built. In May of 1952, a deal was made where Rover would supply full technical assistance to Minerva who would manufacture Land Rovers under license. Rover would supply kits consisting of a chassis, engine, axle, transmission and other parts to the Minerva company in Antwerp who would then build a steel body to suit the Belgium army. 1865 copies came out in 1952.